To search for specific keywords within all of the Archived News Items for 2014, you may initiate a Search by holding down the "Ctrl" key while pressing "F" on your keyboard. 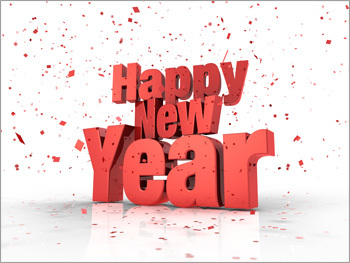 Happy New Year from Flying Blind, LLC !!! Before we put this Holiday Season in our rear view mirrors we at Flying Blind, LLC would like to wish all of you a happy, prosperous, and rewarding 2015. We sincerely appreciate all of our readers and are excited to begin another trip around the sun with you! May you have a fantastic holiday weekend full of good times while we all look forward to the next 365 days and how we will spend them. As ever, we at Flying Blind, LLC are standing by to assist you with your Adaptive Technology needs! Together, let's make it a memorable 2015!!! Flying Blind, LLC Offers Crazy "March Madness" Spring Time Specials, Plus An Amazing Giveaway!!! With a brutally cold winter for most of us in the U.S. hopefully in our rearview mirrors, we at Flying Blind, LLC are ready to warm things up a bit for the spring time with some great "March Madness" specials to commemorate the college basketball frenzy which is about to engulf us here in the United States. So read on for some exciting news about your chance to win a BookSense XT HandHeld Daisy Reader from HIMS, Inc., valued at over $400.00 USD!!! Firstly, for the remainder of March, the Flying Blind, LLC Online Store at http://www.flying-blind.com/store.html is offering free shipping on all orders of $50.00 USD or more. Purchase any combination of high or low tech items and we'll waive your shipping charges on all orders totalling $50.00 USD or more, up to midnight on Monday, March 31st 2014. Secondly, we're very excited to be offering an incredible discount on the new BraillePen 12 Touch, giving you an opportunity to own one of these pocket-sized powerhouses, brand new, for the staggeringly low price of just $875.00 USD!!! With our shipping prices waived on this order, you'll save $250.00 USD on this 12-Cell Braille display that gives you instant, wireless Braille read-and-write access to so many of today's popular screen readers. Order your BraillePen 12 Touch before March 31st 2014 to take advantage of this fantastic bargain from a company that is willing to lower its prices to get as much Braille into as many hands as possible!!! And lastly, all customers who place an order of $50.00 USD or more on the Flying Blind, LLC Online Store at http://www.flying-blind.com/store.html, between March 10th 2014 and March 31st 2014 will be automatically entered into a drawing to win a complimentary BookSense XT Daisy Player, manufactured by HIMS, Inc., and valued at over $400.00 USD!!! That's right! A free BookSense!!! The BookSense XT is a phenomenal handheld bookreader that also allows you to listen to books, music, and podcasts in a variety of media formats. Bear in mind that this little dynamo also packs an FM radio, clock and alarm, and has the ability to connect to a Bluetooth headset, giving you, our one lucky winner, a whole lot of options packed into a portable and sleek design. To read more about the BookSense XT, please visit http://hims-inc.com/products/booksense-xt/. We will contact the lucky winner of the BookSense XT via email by the end of the business day (EST) on March 31st 2014, so there's no need to contact us to enter yourself into the drawing. Simply purchase $50.00 USD or more from the Flying Blind, LLC Online Store at http://www.flying-blind.com/store.html between March 10th 2014 and March 31st 2014 and enter a chance to win!!! Entry into this drawing is also included for anyone purchasing refurbished equipment from Flying Blind, LLC between March 10th 2014 and March 31st 2014. If you have questions about any of our "March Madness" Spring Time Specials, or wish to place your order offline, please email us at featured@flying-bind.com or contact us by phone today at +1 (216) 381-8107. From now until midnight on March 31st, we wish you a fantastic start to your spring time shopping!!! Join Flying Blind, LLC at the 29th Annual International Technology and Persons with Disabilities Conference!!! We at Flying Blind,LLC cordially invite those of you who will be attending this year's Annual CSUN Conference this coming week at the Manchester Grand Hyatt Hotel in San Diego, CA from March 17th through the 22nd, to stop by and pay us a visit! 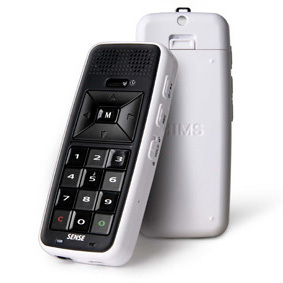 We'll be camped out in the Exhibit Hall in Booth #605C with our International Partner, Harpo, manufacturer of the BraillePen12 Touch, the Mountbatten Brailler, and a host of other assistive technologies. Flying Blind, LLC's founder, Larry Lewis will be on-hand to provide in-depth demonstrations and answer any questions about the Braillepen12 as well as offer suggestions, guidance, and/or direct assistance with any of your adaptive technology educational, professional, or personal needs. Dr. Wiazowski and Mr. Lewis will be illustrating how mechanical Braille writing can serve as a springboard to functional and academic literacy when wireless, refreshable Braille is introduced into a vision impaired student's educational experience. We're looking forward to reconnecting with old friends and making new ones this week! Until then, travel safe, and remember to check out our ongoing "March Madness" specials and giveaway at http://www.flying-blind.com/store.html through March 31st! It's your one-stop-shop for all of your high and low tech needs!